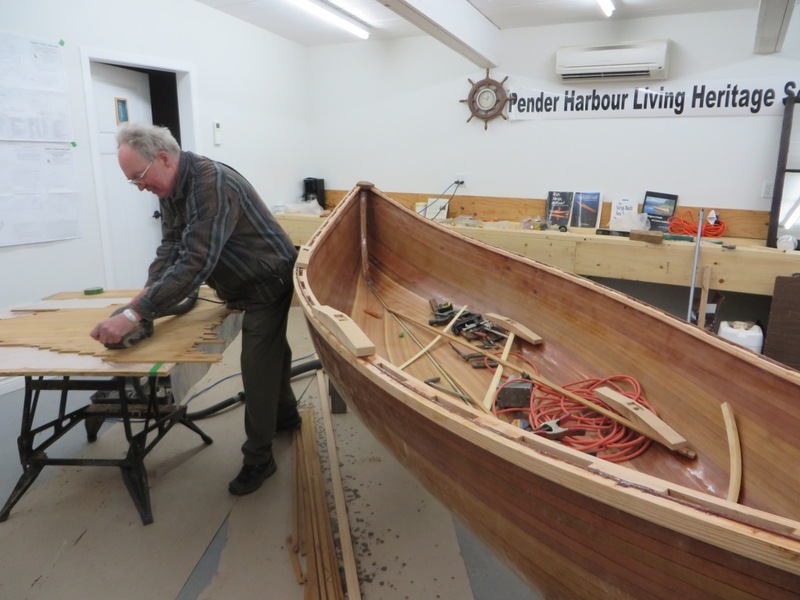 Rick Crook rowing a Hubert Evans handliner he built a few years ago. 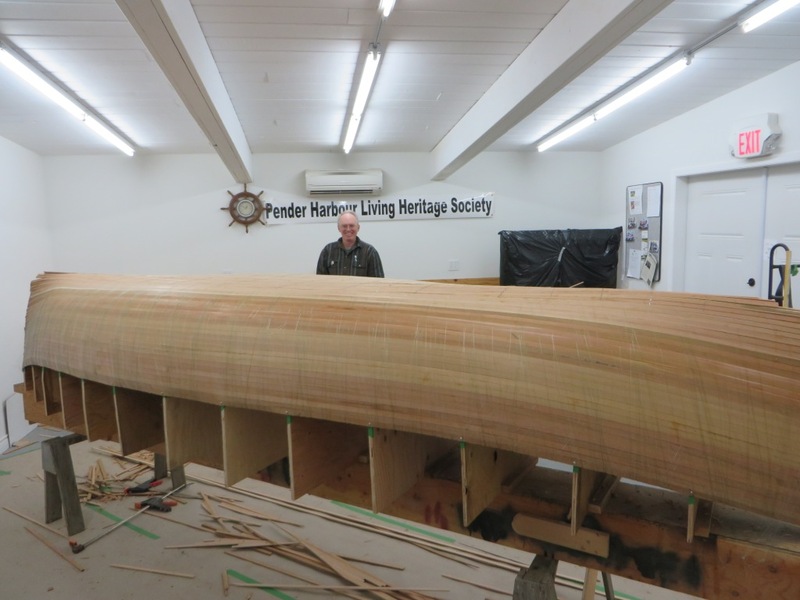 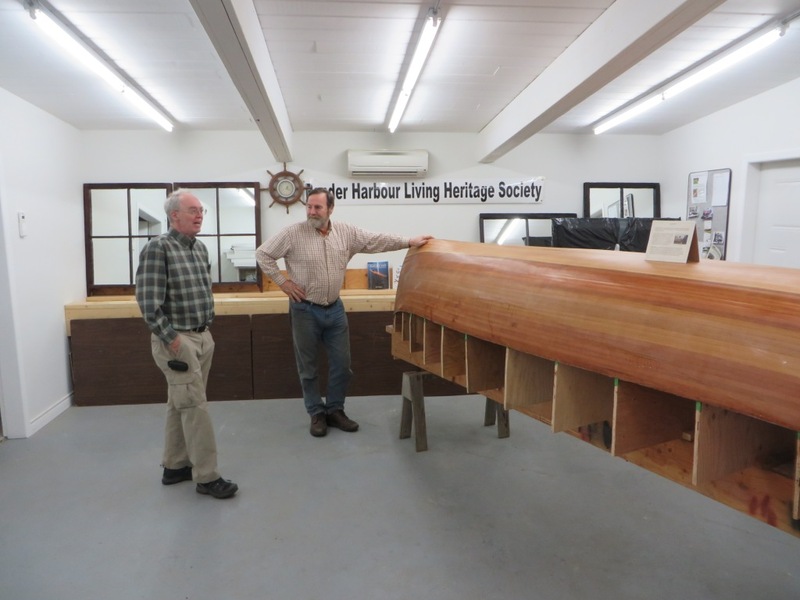 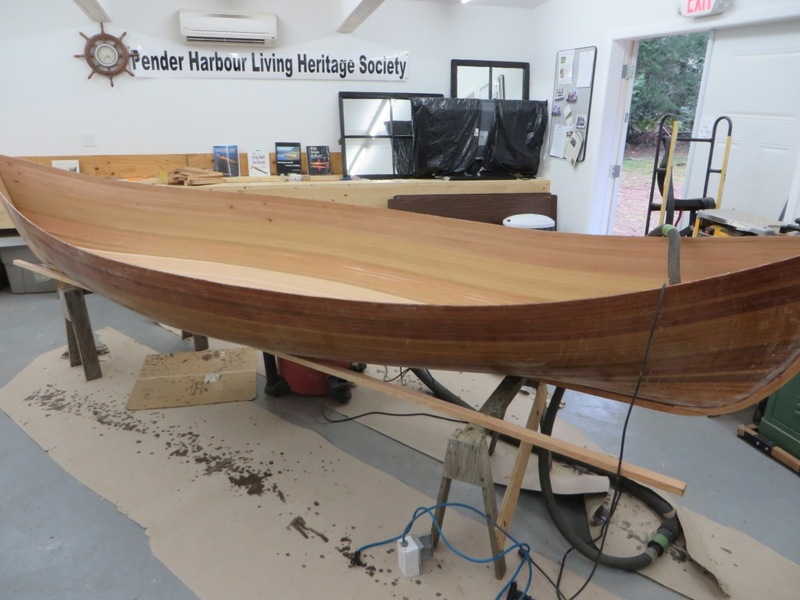 January - March 2015: A cedar strip version of the Hubert Evans handliner was built at the Sarah Wray Hall under the guidance of boatbuilder Rick Crook of Oyster Bay Boats. 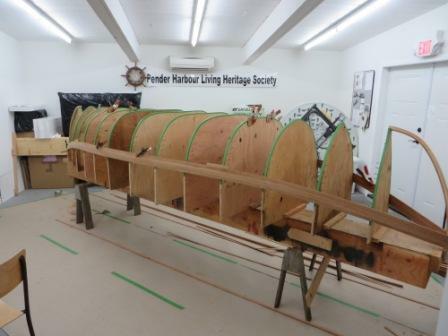 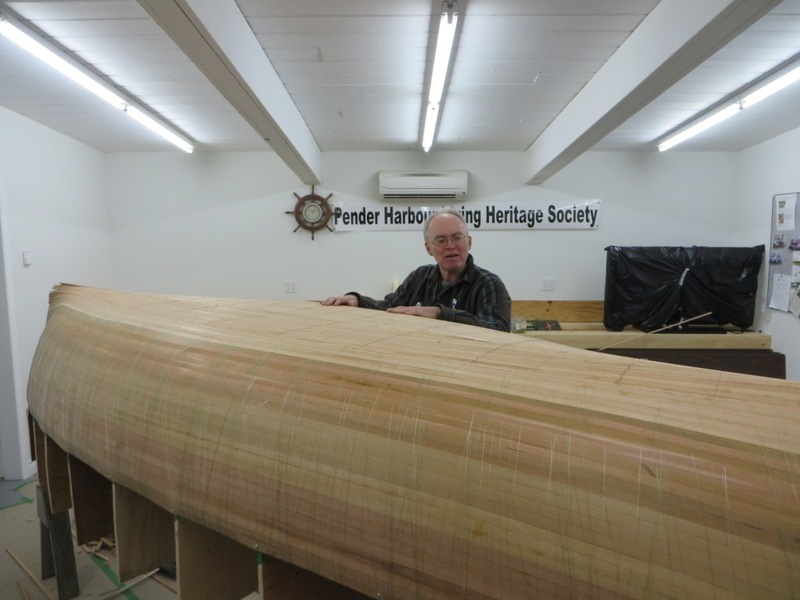 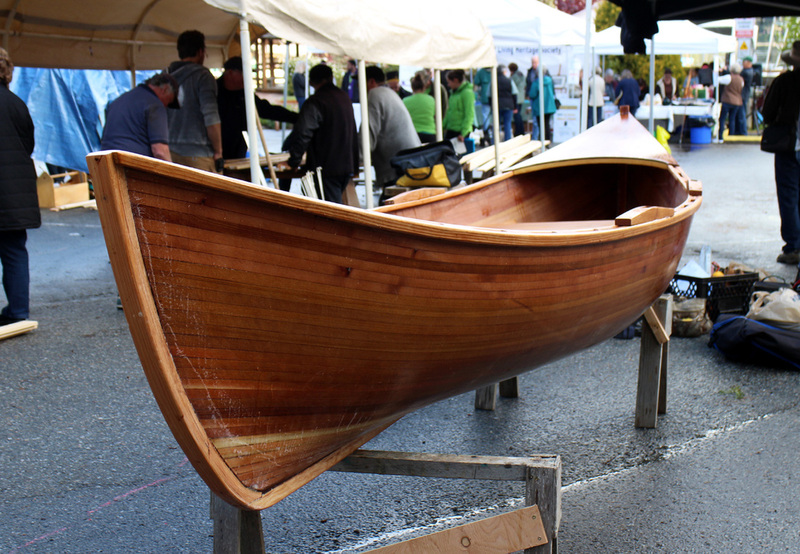 The boat plans are based on lines from the Sunshine Coast Museum & Archives in Gibsons Landing. 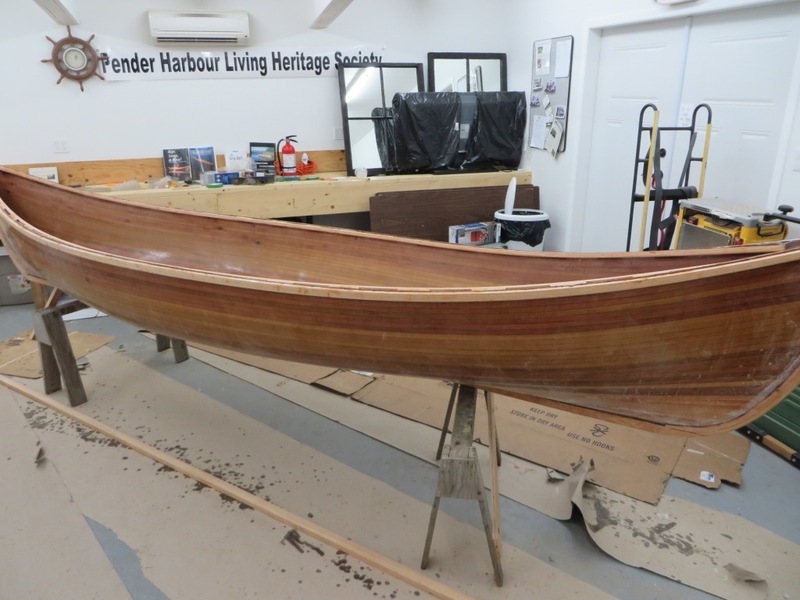 The finished boat will be the start of the Society’s small boat livery in the harbour. 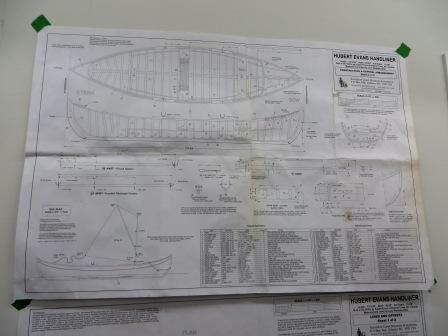 The Hubert Evans handliner from the Sunshine Coast Museum & Archives as measured and drawn by Larry Westlake. 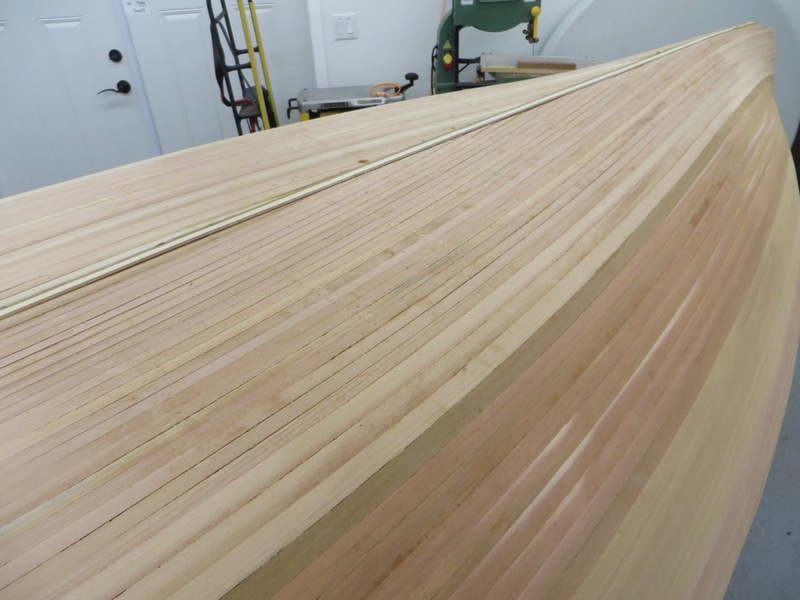 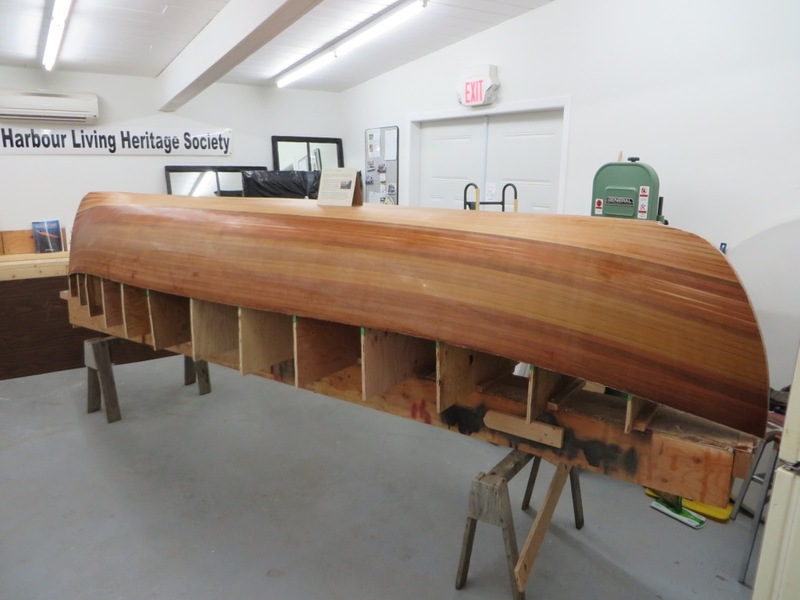 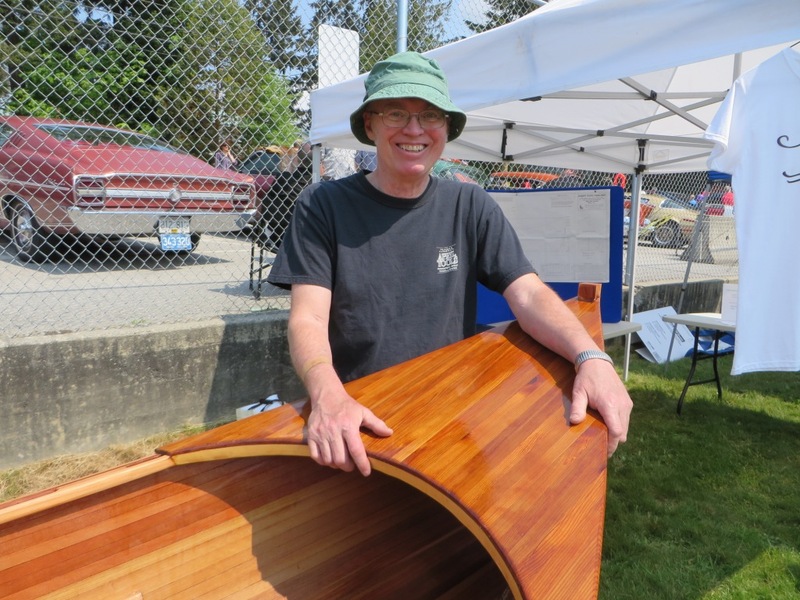 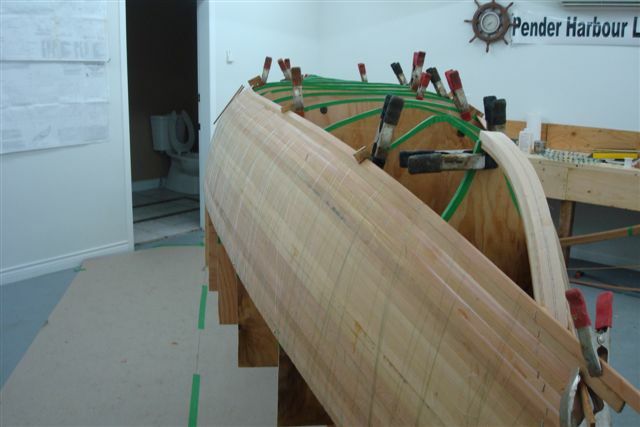 Rick has modified the plans to build the boat in cedar strip, epoxy and fiberglass composite. 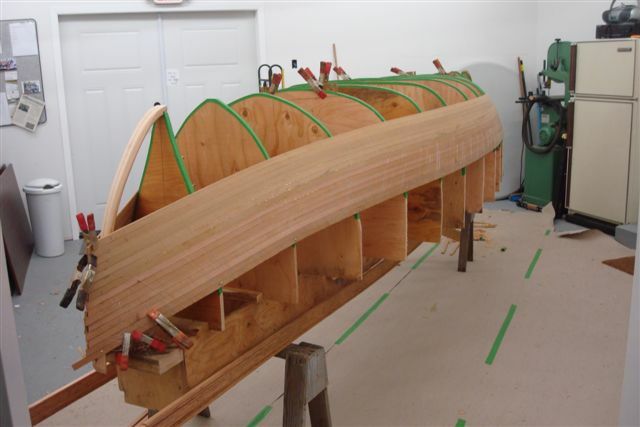 Week 2 (Jan. 21): Additional strips have been added on each side. 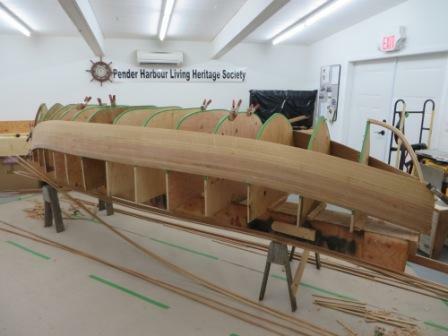 Week 1 (Jan. 14): The building form and the first four strips on each side. 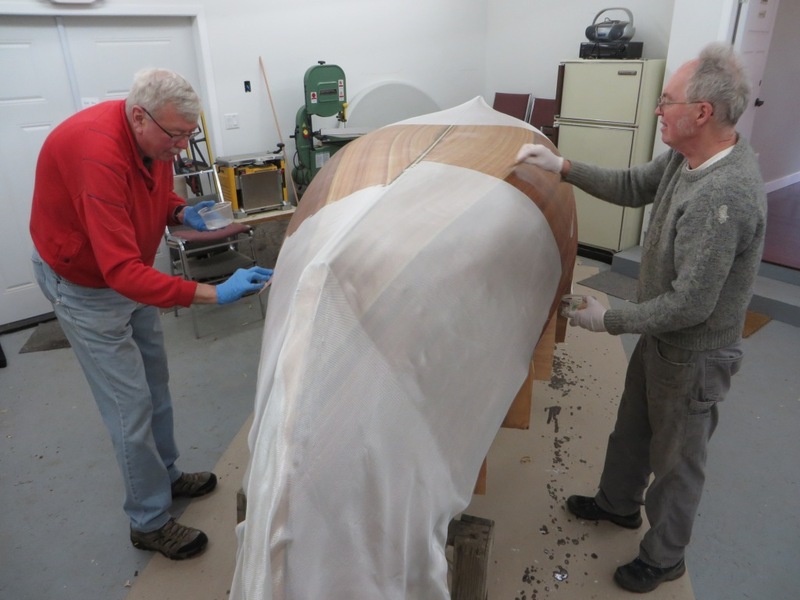 Week 2 (Jan. 21): Students at work. 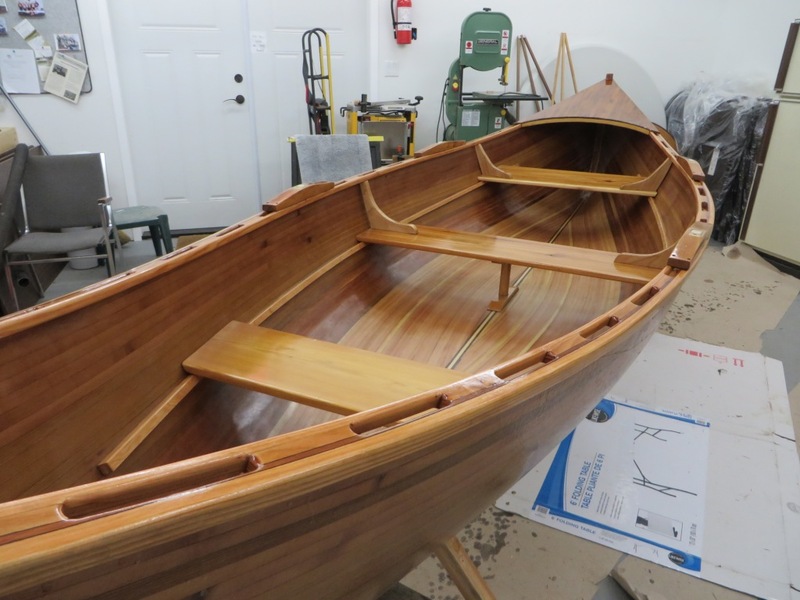 Week 2 (Jan. 21): View 2. 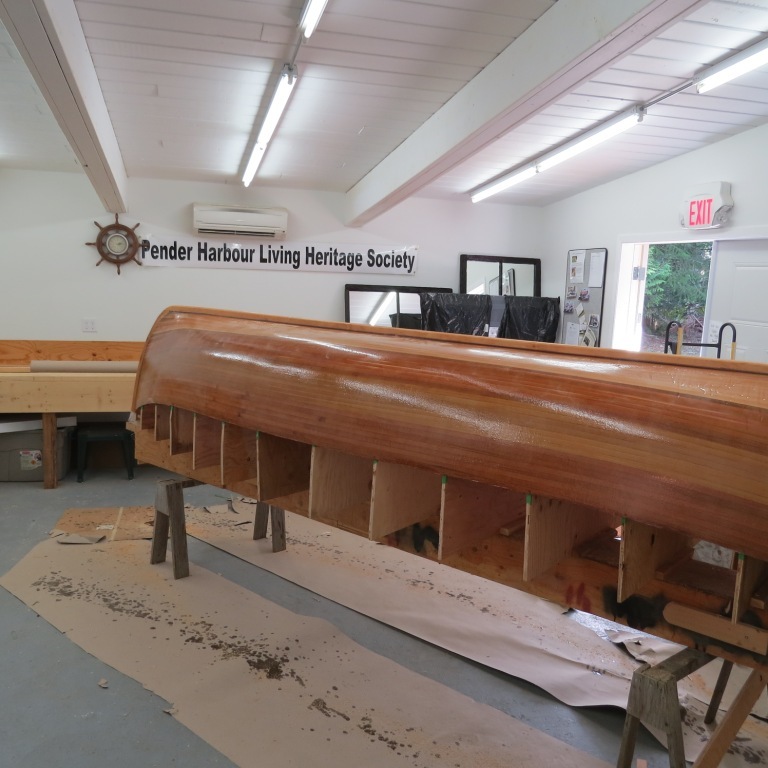 Week 2 (Jan. 21): View 1. 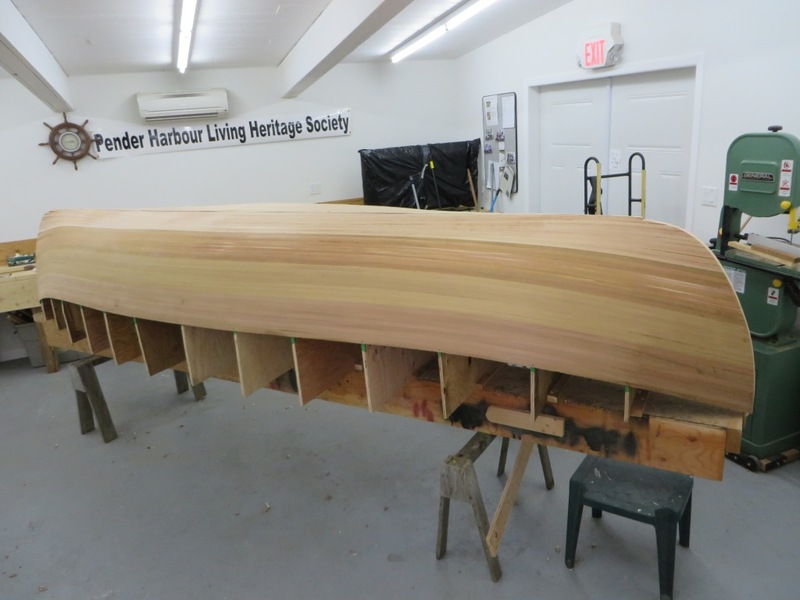 Week 3 (Jan. 28): Starting to turn the bilge. 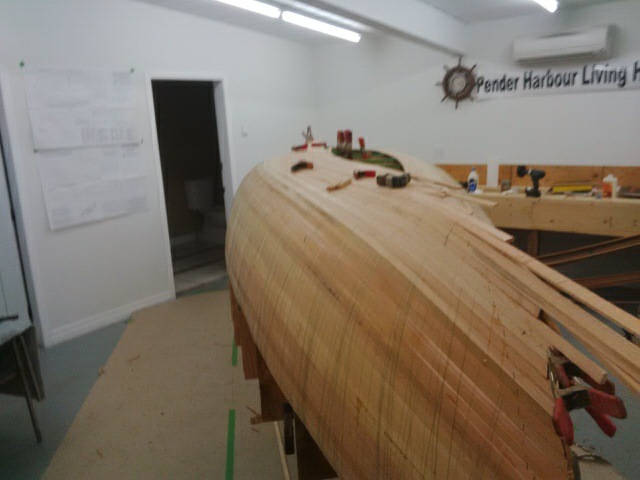 Week 3 (Jan. 28). 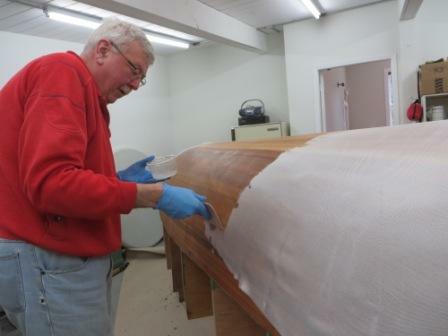 Starting to turn the bilge. 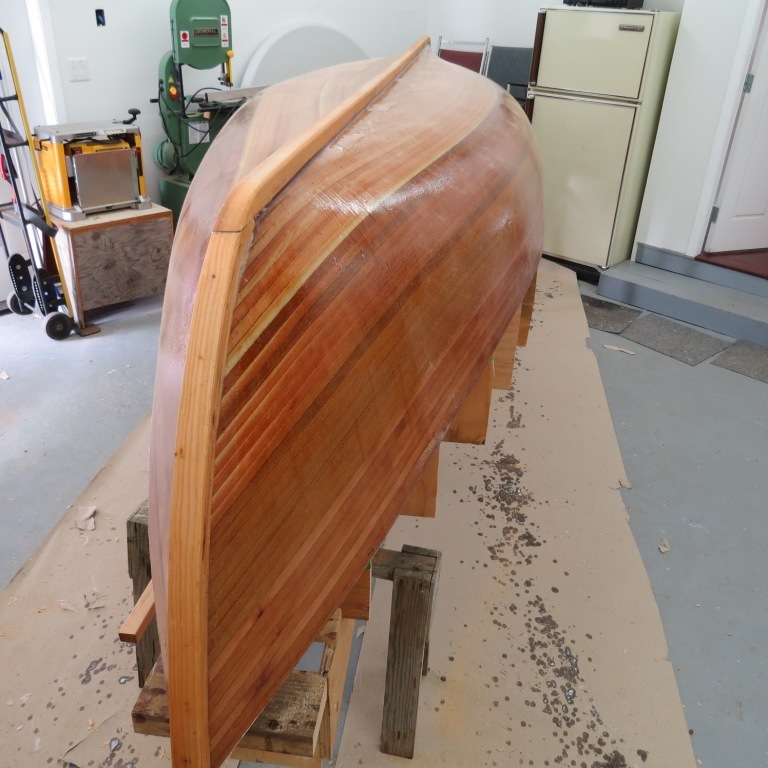 Week 4 (Feb. 4): This is looking like a boat now. 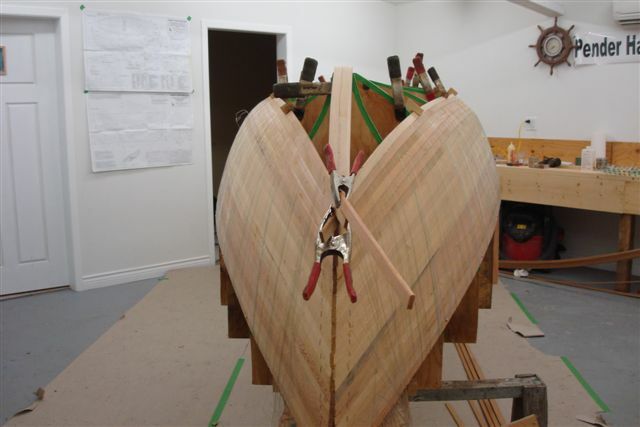 Week 4 (Feb. 4): The boat is taking shape. 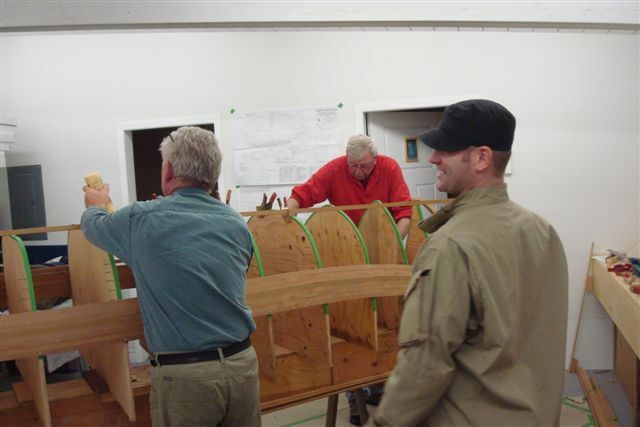 Week 4 (Feb. 4): Instructor Rick Crook - this is how it's done! 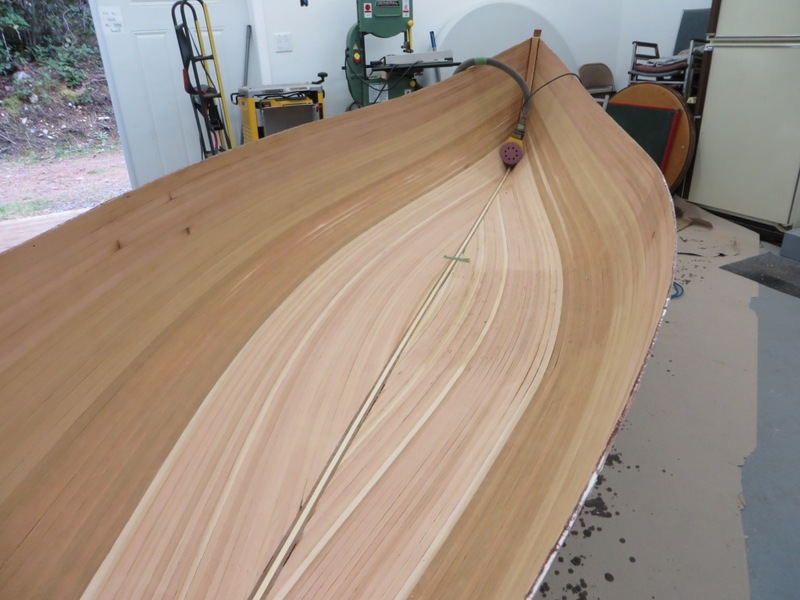 Week 6 (Feb 18): Getting ready for the next stage. 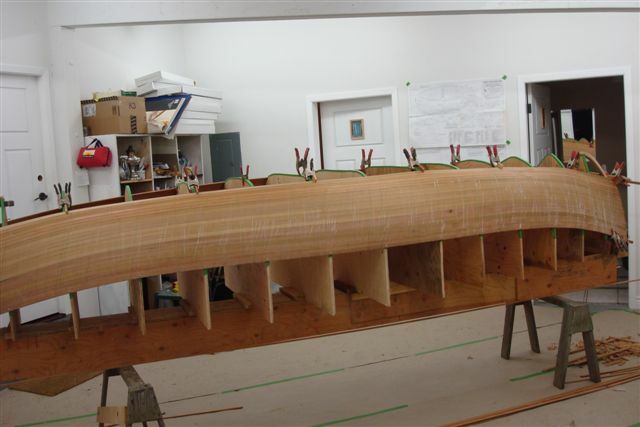 Week 8 (Mar 4): The keel is on. 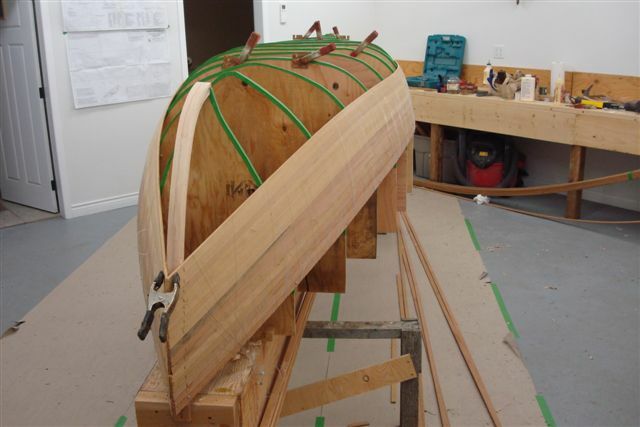 Week 9 (Mar 11): Ready for work on the inside. 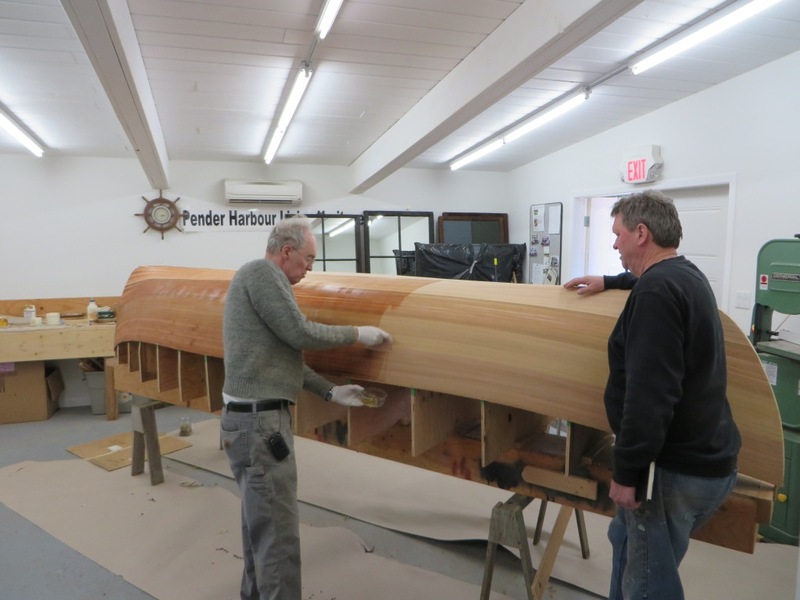 Early April - the gunnels are installed. 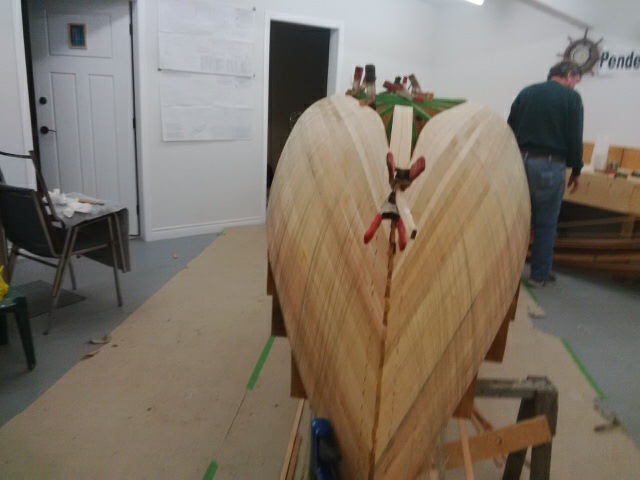 (Week 9 (Mar 11): Ready for work on the inside. 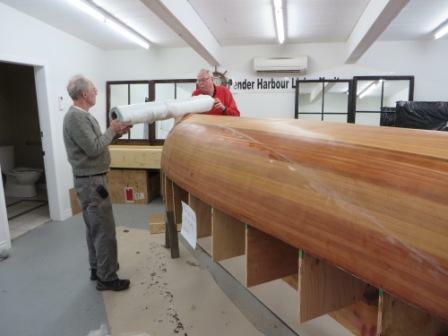 Early April - Rick is preparing the deck for installation.